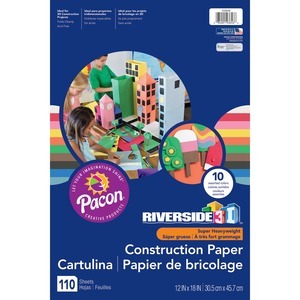 Construction paper features a durable, rigid design that folds cleanly and stays strong to let your students create a variety of 3D construction projects, models and more. Acid-free material prevents dulling to maintain its vibrant color over time. 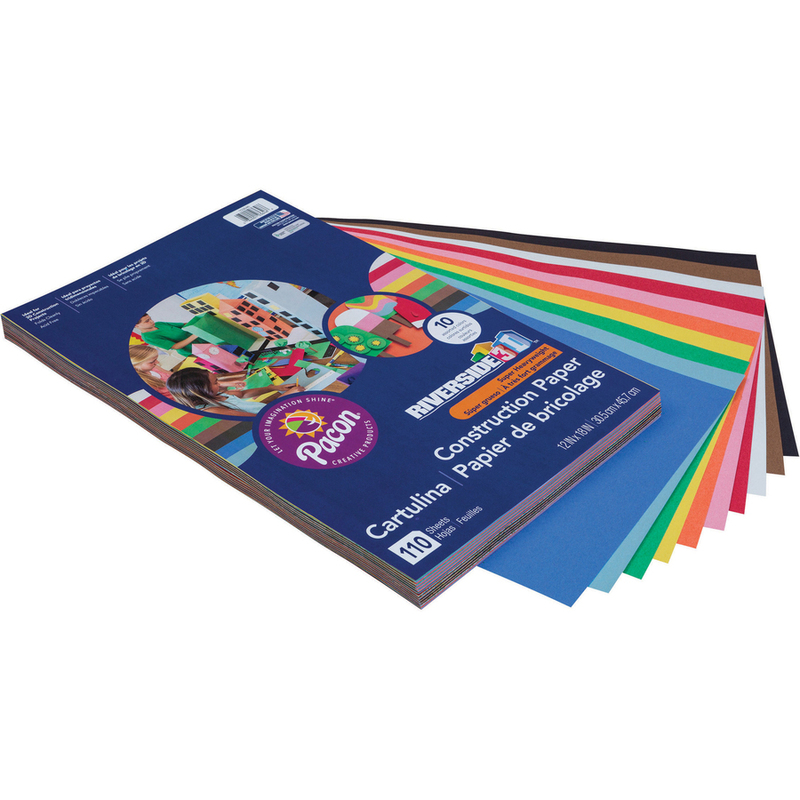 110-sheet assortment includes black, blue, brown, green, light blue, orange, pink, red, white and yellow.